Six men wrecked a toy vending machine at The Agora Centre in Wolverton on Monday. Thames Valley Police is appealing for witnesses following the incident of criminal damage which happened between noon and 12.30pm on Monday. 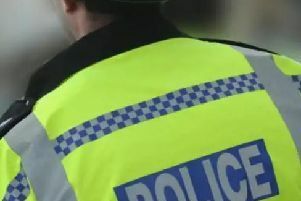 An 18-year-old man from Newport Pagnell has been arrested and bailed until June 28. Six men carried the machine out of the centre on Church Street and dragged it up the stairs before jumping on it and kicking it for ten minutes before running off. > Stocky, with curly light hair, wearing a hi-vis jacket. If you have any information relating to this incident, or the men involved, call Thames Valley Police on 101 or Crimestoppers anonymously on 0800 555 111.